Having the correct stride is very similar to getting your hands back. Both are necessary movements to starting your swing. 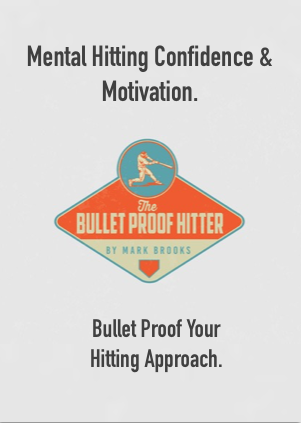 If not done correctly, you may find yourself not being able to handle certain pitches. 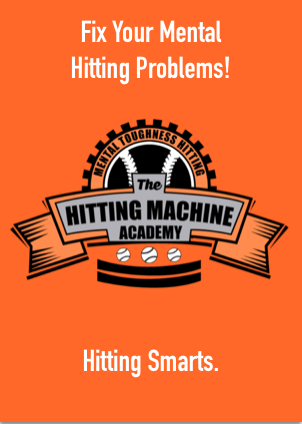 A common debate for many teachers of hitting has been about what to do with the lead leg when beginning to transfer your weight. Should you have a leg kick, toe tap, simple stride, post stride, or a leg lift that simply comes up then down? Like every other mechanical attribute, a hitters front leg movement depends on the type of hitter he is and what he is capable of. Each style has their benefits and their handicaps. the head moves the less you see. So if you have a leg kick, your head moves back but after the weight shift it has to come back to where it was in the beginning stance or a few inches forward. A little head movement won’t hurt, but a lot will. I wouldn’t recommend this for younger hitters because their legs haven’t developed enough for the necessary leg strength and balance. A toe tap is all about rhythm. Chipper Jones is probably the best at this style. It allows you to get some weight going back before you stride while you keep your feet close enough to the ground so that you can avoid getting your foot down too late. Personally I think this is a good style. I did this early in my college career and also ended with a style like this. This also allows your head to stay still while you attempt to pick up the pitch early enough. There really isn’t anything negative I can think of about this approach. This style is probably the most basic movement that majority of hitters have done. Not much emphasis is being put on getting your weight back, but is a style that is good for getting your foot down in time with without post- striding. A simple stride is basically the movement of your foot in your stance striding straight to a flex stance without a leg kick or toe-tap. A Couple of players that do this well are Evan Longoria and Dustin Pedroia. This is a stride that you see more often in college and minor league ball. These players are finally seeing high velocity on a day to day basis so are having to make adjustments by getting the front foot down before the ball is even released. This is a very effective style as long as hitters remind themselves to keep their weight back and or not to Over stride. 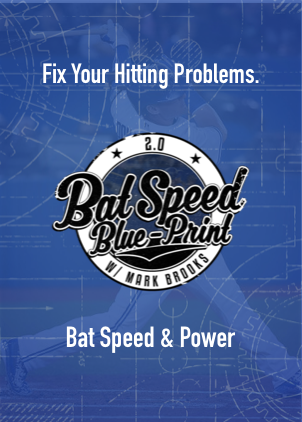 Some hitters tend to drift forward as they post stride thus robbing them of their power and ability to stay back on off speed. There aren’t a lot of big leaguers that do this but its not because it isn’t effective but because these guys are so athletic and experienced that they have made adjustment to big league fastballs. Juan Pierre, B.j Upton, Curtis Granderson have made hitting look easy when they do this. The final style is leg lift. Its a simple lift of the leg and it lands back in the same spot. Watch A-rod or Derek Jeter. They both do his very well. This is a style I recommend for younger players along with the post stride. The style promotes keeping the head still while still generating some movement back before weight transfer. Regardless of your preference in stride, a proper leg lift ALWAYS keeps the hitters weight inside his back leg thus keeping his center of gravity. The stride is always short. I can’t think of many hitters whose stride is long. 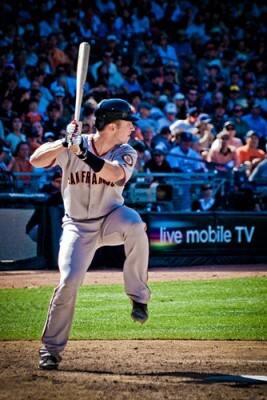 Some hitters may start their leg lifts to late thus getting the foot down too late. This will disrupt timing, so read Getting front foot down in time:) Remember, the stride is the most important movement in your pre-swing so keep things comfortable and simple, but don’t be afraid to experiment. You never know what you will discover. There is a “True Player” inside all of us waiting to be discovered.